Two of the most important brands to me are Wilco and Volkswagen. I listen to one while I drive in the other. 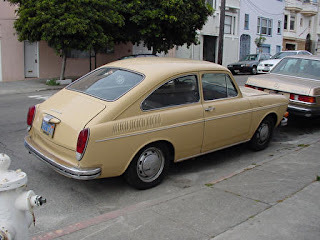 I've loved those crazy Volkswagen's for a long time, since I drove a 1970 Fastback in SF. 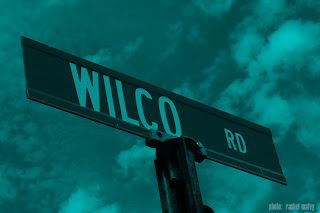 And I'll spill a lot of ink on Wilco in this blog, don't worry. So when I see a commercial like this, from two brands/entities that I love and are universally well respected, I see product and music integration at it's finest. It's commercial, but it also helps a band I love and root for make a better life for themselves and those fans who haven't discovered them yet. All on the back of some marketing muscle from a well regarded car company. So what's the big deal, well in the wake of Radiohead's decision to offer music for "whatever price you want to pay," today, I think advertising and further product integration is going to be how musicians get paid. And folks, they need to get paid. Personally, I think the whole, "that band sold out and went corporate" attitude from some fans is ridiculous. These people take chances, and it doesn't always work out. They should be paid and enjoy the fruits of their labor. If they want, they can give their music away, like Radiohead, but it's their choice. Choice is the key. Wilco made a choice and it's paying off. As Fred Wilson puts it very well: Wilco is Showing us the way. Enjoy one more, and the song is called You Are My Face off of Sky Blue Sky, and it's epic. One afterthough though, Eddie Vedder said a while back that Pearl Jam rejected a $5-$10M check from Pfizer to allow Alive to be used in the Viagra launch. How would our opinion of Pearl Jam, Alive and Viagra all be different if PJ would have said yes? I'd still love them, but it would make DVD's like Imaggine a lot less credible. Or would it?